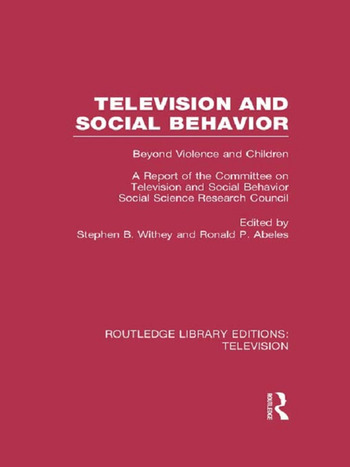 This book, published originally in 1980, addressed the needs for a profile of televised violence which considered the advantages and disadvantages of various measures and for a furthering of research directions beyond the then-popular emphasis on children. The Committee on Television and Social Behavior was formed in1972 and stimulated new research in order to provide a multidimensional profile of the social effects of television programming. Chapters here look at the effect of television on adults as well as children, particularly special audiences such as the elderly and minority groups. An excellent summary of the various conceptual, substantive and methodological issues around television’s influence.